FanArtReview.com is a recommended site because it is feature rich. You can post your work for feedback. You can enter contests. You can put your work up for sale. You receive a profile that you can share with others and it offers a community atmosphere. FanArtReview.com is a community for artists and photographers. On FanArtReview.com you can sell your art and photography, get feedback for everything you post, and create a profile that includes your portfolio of work. It is for all skill levels. Feedback: When you post your work on FanArtReview.com you get feedback from other artists. We found that the quality of feedback was normally excellent. Not all reviewers put a lot of time into reviews but generally the reviewers pointed out what needed work. The site offers a six star rating scale with "one star" being worst and "six star" being the best. The catch is that each reviewer only has four six stars to use each week. So those are hard to come by. Contests: Membership to FanArtReview.com includes free entry into all FanArtReview.com contests. There are often 50+ contests that you can enter. 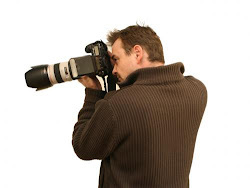 They host contests for both photographers and artists. The contests offer cash prizes. There are many different type of contests. There are also weekly contests. Sales: This site does provide artists and photographers the ability to place their work for sale. Interestingly, they offer a "content sharing" feature that automatically promotes your work for sale on the internet. So by posting on FanArtReview.com, and putting your work for sale, your work will also be promoted throughout the internet. They accomplish this using iPhone apps, feeds and tools that artists can use to easily share their work with others (such as Facebook). Profile: All members receive a free "Facebook Like" profile page geared towards artists. It tracks accomplishments. For example, if one of your posts is well received by reviewers it can earn special recognition such as "All Time Best" status. This recognition will be shown in your profile. Members also get a "wall" like feature where they can let others know what they are working on. Members can also become fans of you which will notify them when you post something new. This is a feature filled section of the site that includes a portfolio, gallery, your own favorite listing among other nice touches. Community: The heart and soul of FanArtReview.com is the community aspect. Everything gels together to create a place where members can communicate, share posted work, talk about art and photography with other artists. Members can create contests to challenge others, visit profiles and leave messages and share ideas. I joined for the contests. There are so many to enter with cash prizes. I stay for the terrific people.